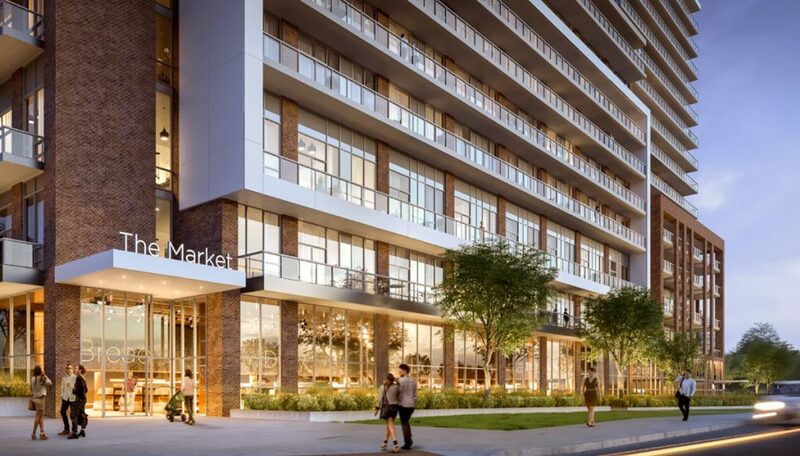 An exciting addition to a popular master-planned community, this condo will stand 15 storeys and feature expansive retail at street level including a grocery store. 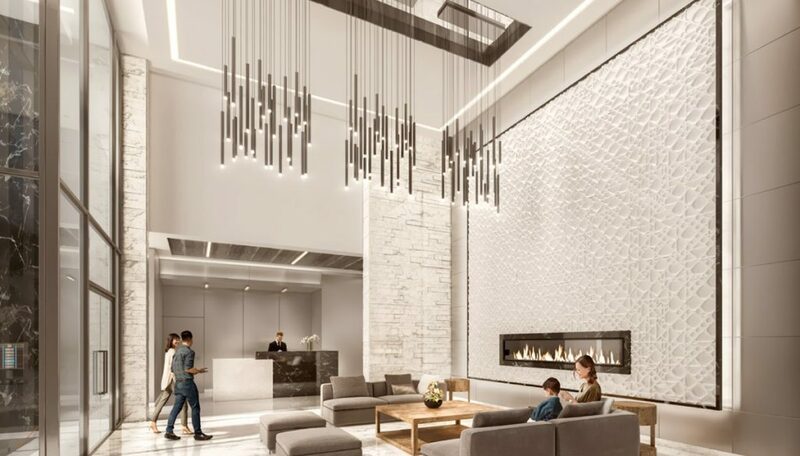 Lumina Emerald City is a pre-construction condominium under development by Elad Canada in North York’s Parkway Forest neighbourhood. Be the latest to live in a thoughtful and innovative community, which includes a selection of contemporary living spaces and a brand-new 50,000 square foot recreation facility complete with an aquatic centre, running track and a rooftop garden. 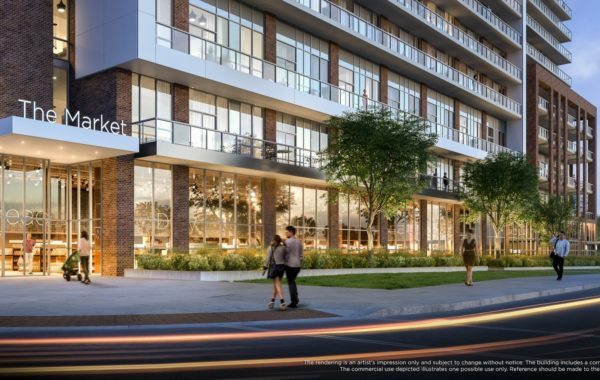 Just steps from lush parkland, the subway station and one of North York’s most popular lifestyle destinations (Fairview Mall), this is a connected and growing part of the region to invest in. 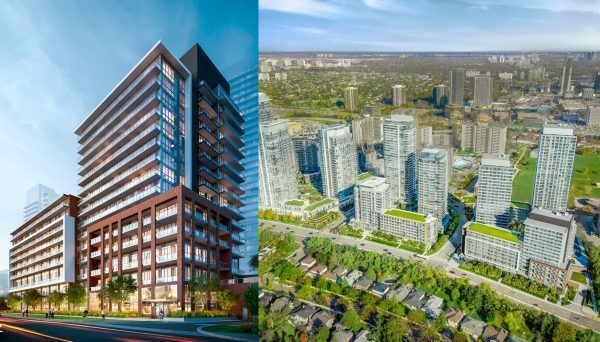 The final building in the community’s Phase C, Lumina will occupy a spot on the south portion of the site, which is near Don Mills Road and Sheppard Avenue East. The new condo is slated to stand 15 storeys, housing approximately 250 units. It’s expected to include a grocery store at street level, while an adjacent building will house even more retail space. Neighbouring two other towers that sold out in record time, this building is expected to contain a range of suites, spanning from one to three bedrooms. Terrace suites will also be available. These include flex spaces that can be used as either dens or second bedrooms, engineered hardwood flooring throughout, open-concept layouts and contemporary kitchens with designer cabinetry. Spa-inspired bathrooms and spacious master bedrooms are just the icing on the cake for in-demand condos like these. We love the modern, high-quality features the rest of the condos in this community feature and we’re expecting this one to contain more of the same. 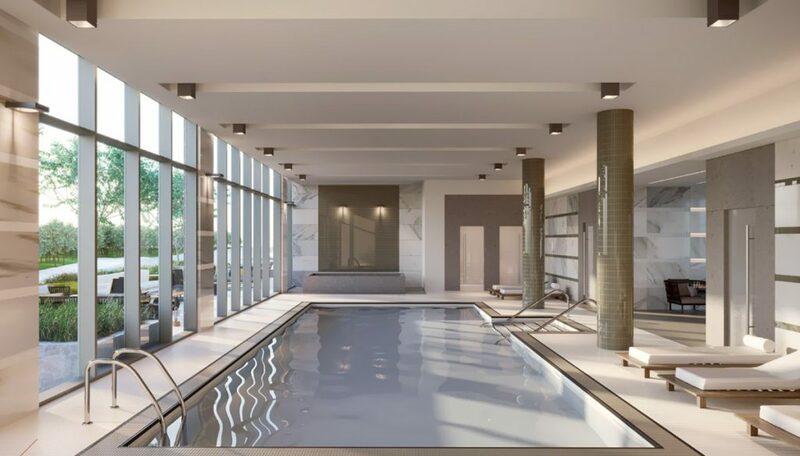 Residents will have access to amenities like a grand lobby, gathering lounge, a guest suite, multi-purpose room, private dining, fitness room, yoga studio, theatre room, indoor pool hot tub, family play lounge, and an expansive outdoor terrace. This new condo project will join seven other towers in the master-planned community, which conveniently backs onto both major arteries and the lush Forest Parkway Park. 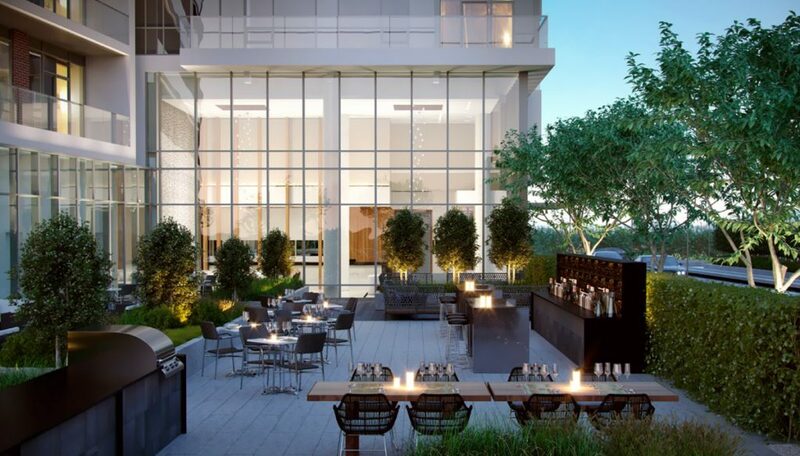 Residents who call Emerald City home gain access to not only a luxe and contemporary place to call home, but some of North York’s newest infrastructure as well. Condos in the Parkway Forest neighbourhood are ideally situated to take advantage of everything North York has to offer. Both drivers and public transit users will find it a breeze to get around here, thanks to easy access to major arteries like the Don Valley Parkway. 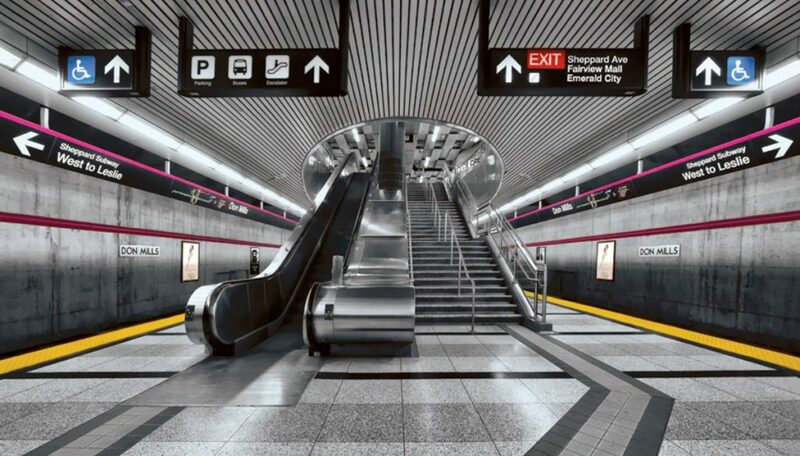 The Don Mills subway station is just steps away, connecting you seamlessly with the city and getting you into the heart of downtown in a quick 30 minutes. It’s also just minutes to the high-density office district of Yonge and Sheppard, making this a great location for the uptown professional. A quick walk takes you to the recently-upgraded Fairview Mall, which boasts almost 200 trendy retailers and restaurants, as well as a multi-screen cinema. It’s so close you can be browsing the racks of your favourite store faster than it would take to find a parking spot! Another major bonus for the immediate area is the brand-new Parkway Forest Community Centre. 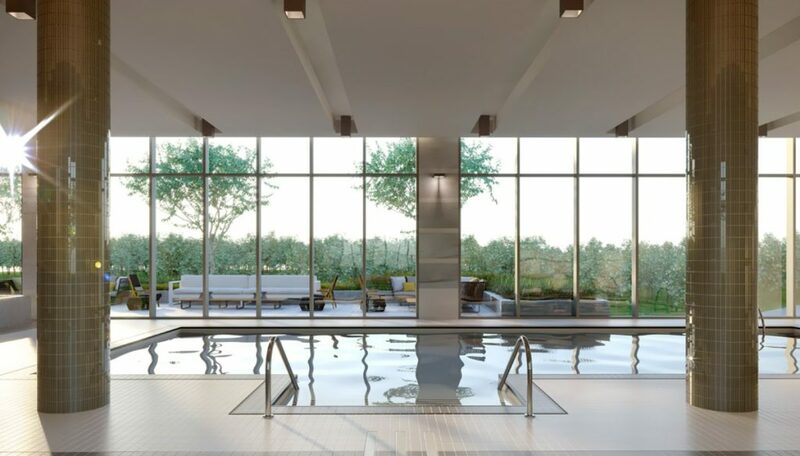 This 500,000 square foot facility has been thoughtfully designed to include a range of features for almost every kind of resident, from a YWCA-run daycare, to an expansive teaching kitchen and rooftop garden, to a state-of-the-art gym and aquatic centre. Plentiful parks, river access, schools and the North York General Hospital are nearby, making this an ideal area for almost anyone to call home. This is the second master-planned community currently under development in the neighbourhood, while new condominiums continue to be proposed and built, especially along the Sheppard Avenue stretch. A larger redevelopment involving new towers and the overhaul of an upscale shopping centre is slated for a site just outside the neighbourhood, indicating an increasing trend of urbanization for this North York region. This is your chance to be part of it. 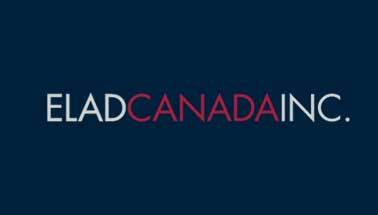 Elad Canada has pursued an aggressive and strategic growth plan since their beginning in 1997. They now boast a strong portfolio ranging from commercial space to seniors’ units to urban condominium complexes. This is the second master-planned community they’re involved with in Toronto and they’ve proven themselves to value quality, timeliness and excellent customer service.